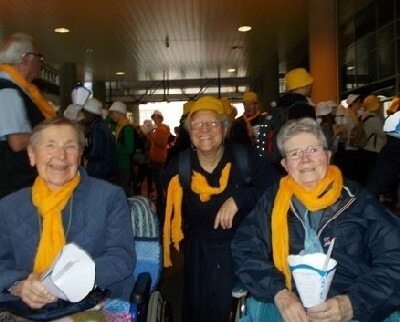 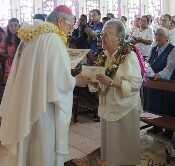 In response to the desire of young women to become religious, and to the hopes of some bishops to have diocesan congregations, our sisters were given the responsibility to start four groups of sisters in the Pacific. 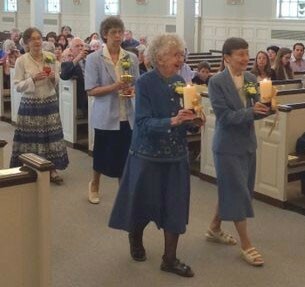 These sisters have all been officially recognized by the Church as diocesan congregations, and all are autonomous. The Filles de Marie have communities in New Caledonia and in Vanuatu. 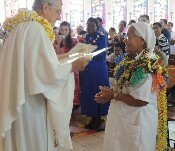 Sisters of Our Lady of Nazareth, which began in Fiji now work also in Tonga, Samoa and in the United States of America. 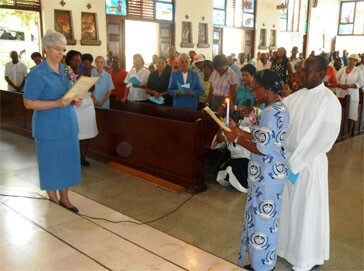 The Congregation of the Sisters of Nazareth serve the church in Bougainville, Papua New Guinea. 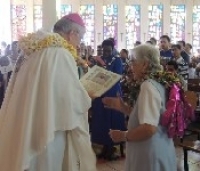 The Daughters of Mary Immaculate work in the Solomon Islands.